Incredibly rare, malignant mesothelioma (pronounced: me-zoe-thee-lee-O-muh), is an uncommon type of cancer impeding the thin outer layer of tissue (mesothelium) covering most of your internal organs. 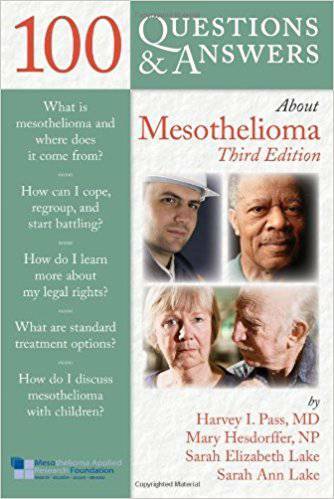 Cancer of the mesothelium is caused by exposure to an industrial agent called asbestos and is both aggressive and deadly, and while treatments are available, cure is not typically possible. For nearly three decades thoracic surgeon Dr. David Sugarbaker led the way in advancing the way we medically approach and treat pleural mesothelioma. We regret to report that at the young age of 65, Dr. Sugarbaker has departed this world and the world of medicine that he devoted his life’s work to. Among a long list of accolades and accomplishments, Sugarbaker served proudly as the director of the Lung Institute at the Baylor College of Medicine in Houston, Texas. For 26 years Dr. Sugarbaker proudly and expertly served at Brigham and Women’s Hospital in Boston. Dr. Sugarbaker worked diligently and with purpose, spearheading and establishing the most noteworthy and prestigious mesothelioma cancer treatment program in America. While in Boston Sugarbaker invented and perfected surgical techniques that resulted in lowered mortality rates and extend the lives of countless patients diagnosed with this debilitating and ultimately fatal cancer from which there is no cure. His findings and treatment modifications earned him the respect and admiration of his colleagues and won the hearts of patients, many of which traveled across the country to work with him. In 2014, Sugarbaker proudly joined the Baylor College of Medicine in Texas. Dr. Sugarbaker wasn’t just a highly experienced and innovative surgeon, he was also a respected mentor and facilitator of knowledge. The teachings and impact he had on countless prominent thoracic surgeons trained under his watch will keep his legacy alive for decades to come. Dr. Sugarbaker was full of ambition to help change the world for the better. He joined Baylor College of Medicine with the intent to develop the Lung Institute, and the ambitious program he had hoped would surpass even that which he had established in Boston. His following within the mesothelioma community was unmatched by any other in his field, with word of patient success stories spreading far and wide. A small group of his patients that had passed the 10-year mark after surgery continued to see him regularly even if that meant traveling long distances to his new base of operations. A following of patients that lived for five years beyond their prescribed life expectancy only aided in furthering his notoriety. One thing is certain, while the world lost a great man and a highly respected clinician, his patients, their families and the surgeons he has trained will never forget the gift of life and knowledge he gave them.